nero profumo: Guest Reviewer Of The Day: Freddie Jones aka Hilaire. Guest Reviewer Of The Day: Freddie Jones aka Hilaire. Driven into the life of a perfume obsessive by the discontinuation of his favourite perfume (Le Feu d'Issey if you're wondering), Freddie Jones is an artist, creative, fashion blogger and youtube perfume reviewer with a unique take on the aesthetics of scent who takes time out of his busy schedule of sniffing things and judging what people are wearing to also work as a consultant in Dublin's only niche perfumery. 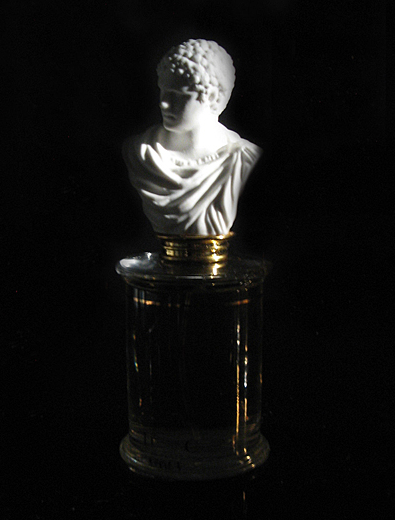 Parfums MDCI Cuir Garamante - A Cuir by Any Other Name. If you have ever been to Tunis you'll know what I'm about to say is true. If you haven't been, then go! It's amazing. 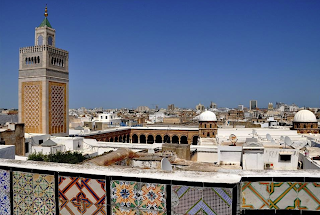 It combines the charm of an ancient Islamic Casbah with totally authentic souks and bazaars, wonderful mosques, plenty of princely and mercantile palaces from various eras, with a slightly shabby late twentieth century attempt at modernity which is delightful. Around it are rather plush suburbs too, especially around the ruins of Carthage which are essentially like a neighbourhood park to the large and expensive family homes around it. Tunisia is akin to Libya and Algeria in having both a Mediterranean aspect, an Arabic cultural milieu, and a distinctly African flavour. They are all three a mix of the relict influences of their ancestral indigenous culture and the waves of influences which have broken over them. Egypt and Morocco at either end have more distinct and discrete cultures. They act as bookends. 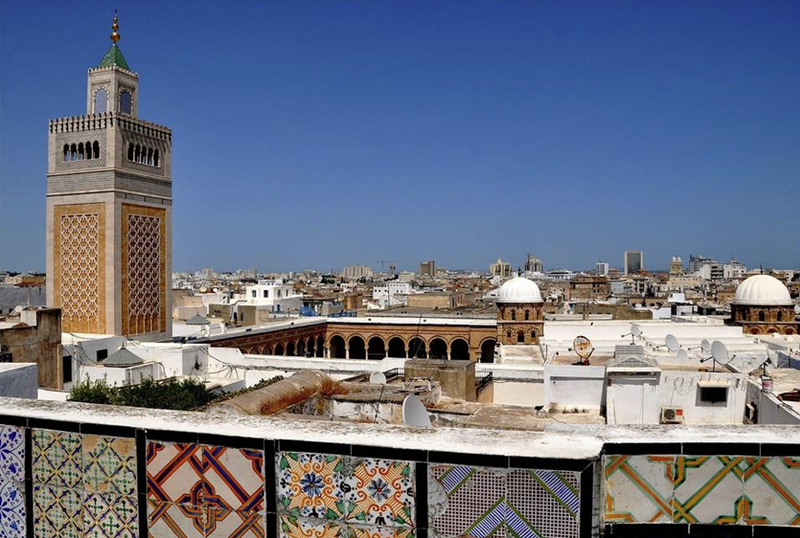 Tunis and Tripoli in Libya share an inheritance of Andalusian culture. The expelled Moors of Spain brought back their hybrid culture to North Africa with them and it flourished in these already heterogeneous coastal entrepot. Among other things Cuisine, Leather working (an Andalusian Moorish speciality) and Perfumery (brought to a high degree of sophistication in early medieval Spain by Muslim rulers who found themselves in a comparatively lush country capable of producing large harvests of fragrant flowers unlike their Sahel Urheimat) were all given new vigor in North Africa by this population reabsorption from Iberia. a thorough wandering through its perfume markets. Among the myriads of ugly fakes and cheap knockoffs you do still find pockets of more traditional authenticity. We came upon a shop where they made rosewater and orangeflower water out back in large stills and where decent quality attars could be obtained if you had the patience to haggle for extended periods of time. The smell of the place itself was intoxicating. It was hot ( I mean Sahara hot) so the stones of the medieval buildings were giving off their terracotta/adobe smell that hot rocks sometimes do, and dust and parchedness undercut everything. Huge bales the size of cars full of rose buds and orangeflowers gave off waves of thrumming sweetness and the smells of leather being worked in nearby artisanal workshops added to the melange. In fact so cheek by jowl are these kinds of establishment that leather products from the one and perfumery from the other smell of one another inextricably. The satchel I bought in Tunis smells of roses and hot dust almost more than it does of leather. Its a smell I will never forget. And it's exactly what Cuir Garamante smells like. Yes there are hints of plum and dates (doubtless a side effect of one or other rose synthetic) and there is incense too, mostly supplied by Labdanum (another Iberian echo), and there is even a goodly dollop of sweaty funkiness in there too which adds authenticity since wandering the souks of Tunis can mean being crammed together with lots of people in tunnel-like covered streets in high temperatures even at night. But above all this is the recreated alchemy of a complete amalgam of dried Roses and supple tanned hides. There's also more than a nod to Oud Ispahan about this composition though thankfully I don't expect it to be quite so isotopic in its half-life.